Excuse my dressing gown and slap backed hair! I'm extremely cold today and decided to get all warm and comfortable on the sofa after my trip to town this morning. 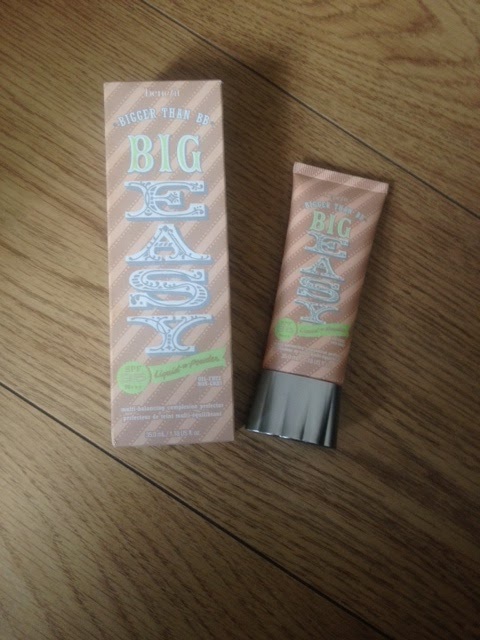 Today I wanted to review Benefit's Big Easy Multi-Balancing Complexion Perfector. It has been on my wishlist since the day it was released, and a few weeks ago I finally caved and purchased it. And I am so so glad that I did! Benefit's Big Easy claims to "balance moisture and control oil and adjusts to your exact shade. 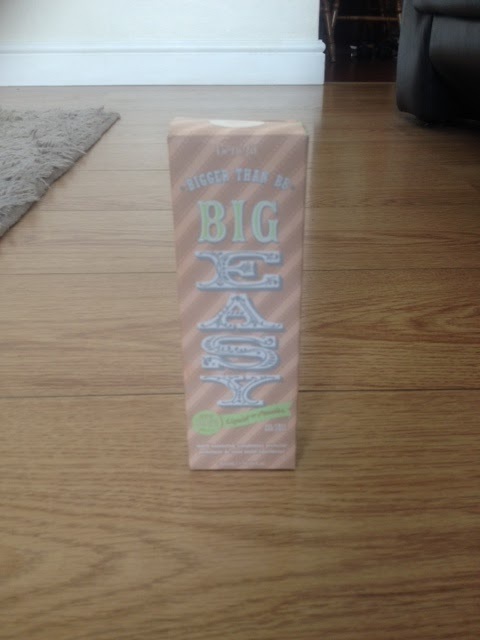 It evens out skintone and conceal imperfections"
Big Easy definitely does what it says on the packaging! It applies like a cream but finishes like a powder. I love this because I am not confident enough in my skin quality to just wear a BB cream - and this product is somewhere between a BB cream and a foundation so gives me the perfect coverage - not too heavy for every day, but not so light that I feel conscious my flaws are on show. I don't even feel like I have any make up on my face when I use this. One of my favourite things is that it lasts ALL day! 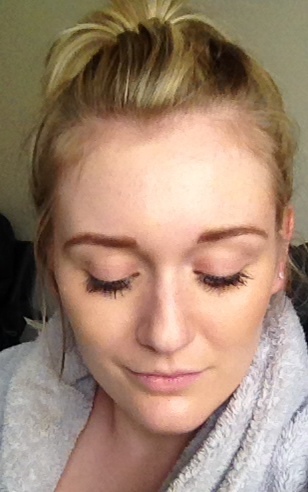 This photo of me was taking after wearing this product for 6 hours and my make up hasn't budged at all! It says to apply with your fingertips but I prefer to use my regular foundation brush. And to top this all off, it also protects with SPF 35, so it helps to prevent ageing. You can pick Big Easy up online or at your local Benefit counter for £27.50, and I think it is definitely worth it! Have you tried Big Easy? What did you think of it? I'm really starting to fall in love with Benefit cosmetics - can you recommend any of their products that I should definitely try?